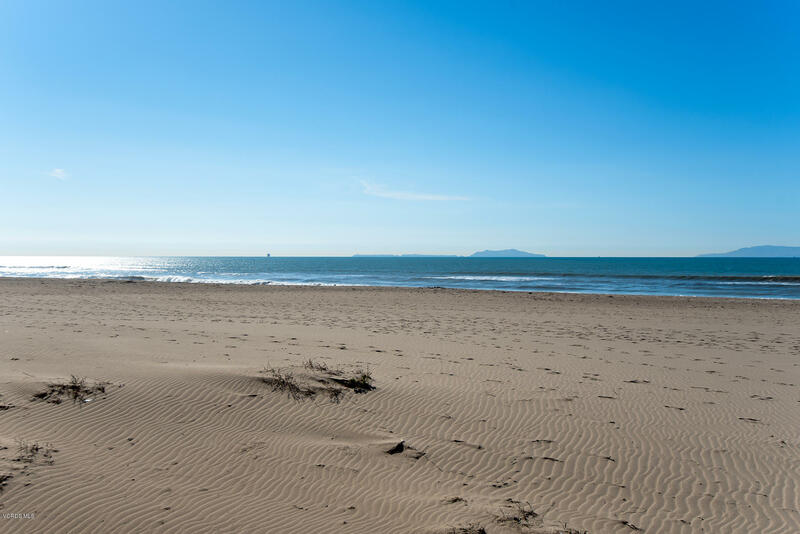 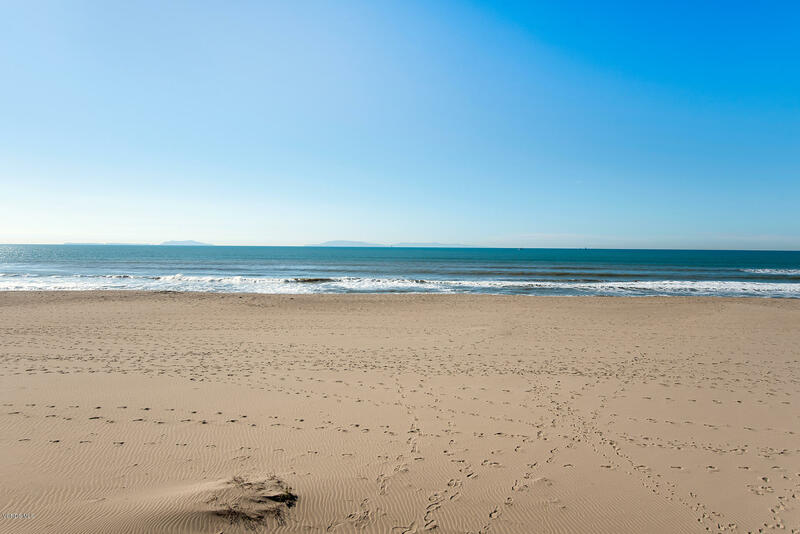 Fantastic white water and Channel Islands views! 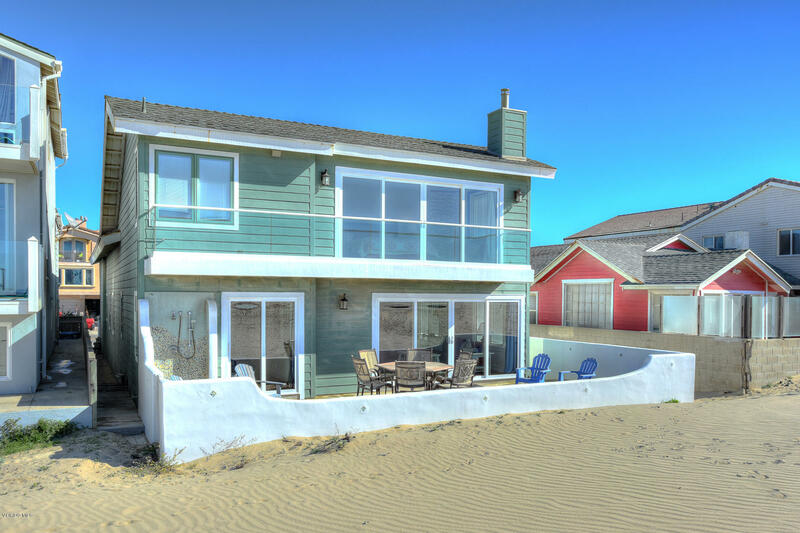 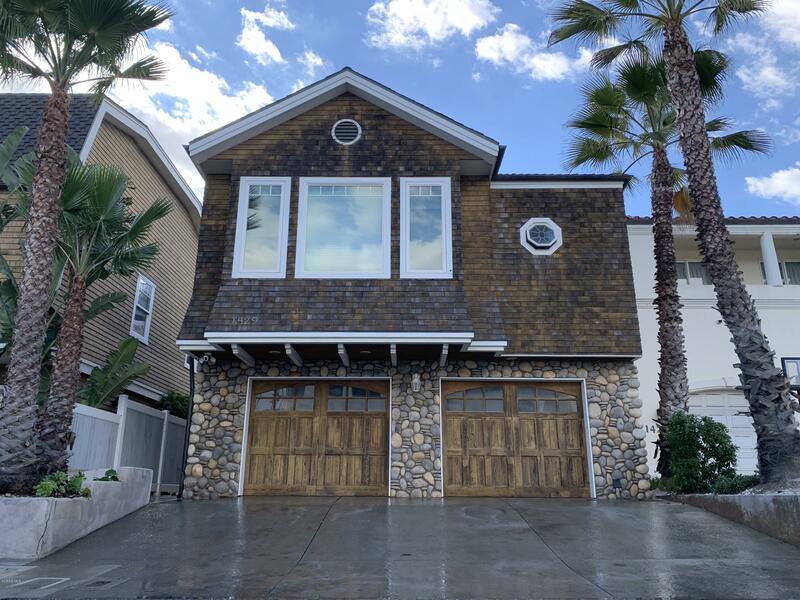 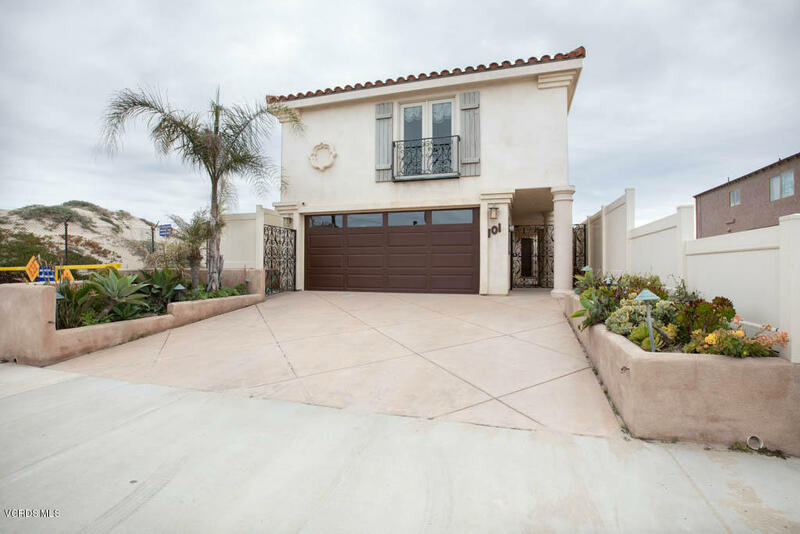 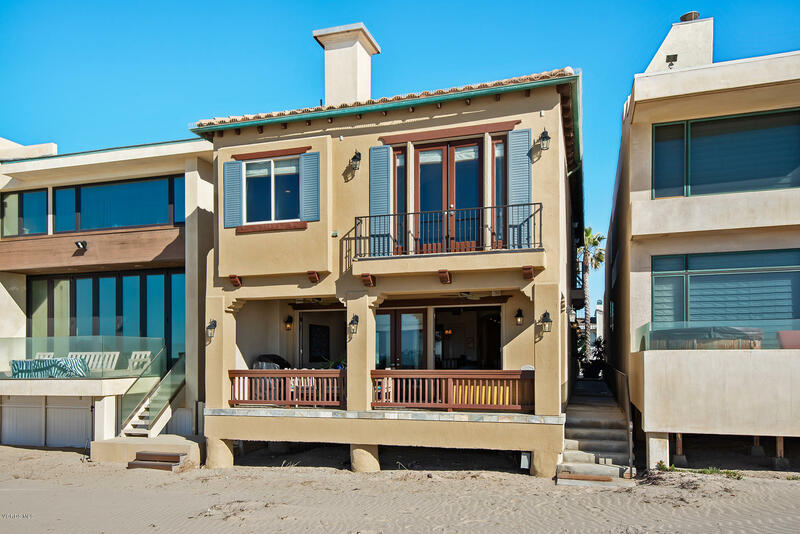 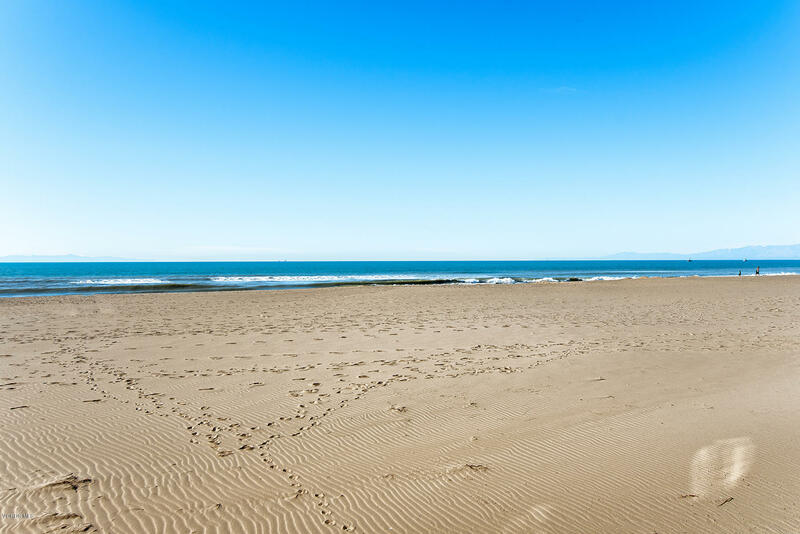 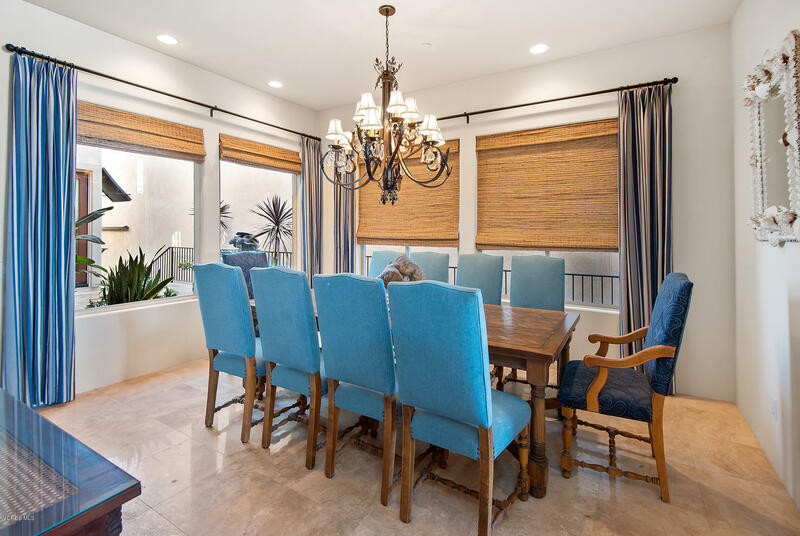 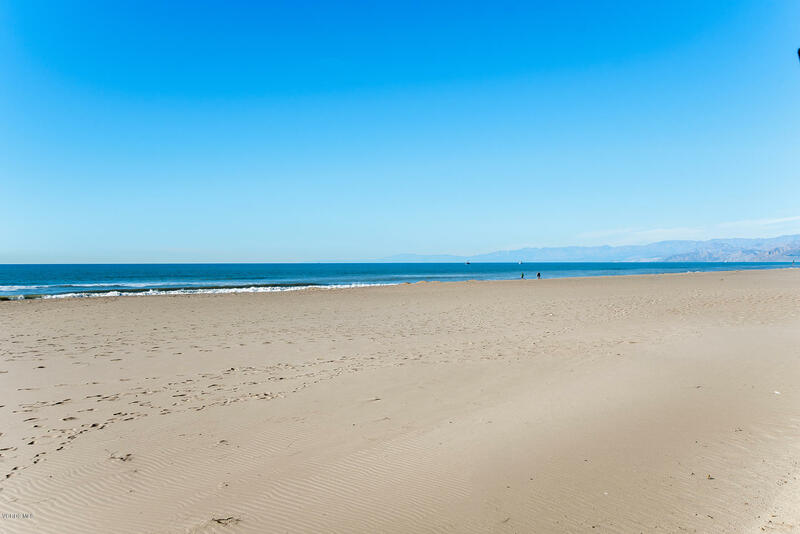 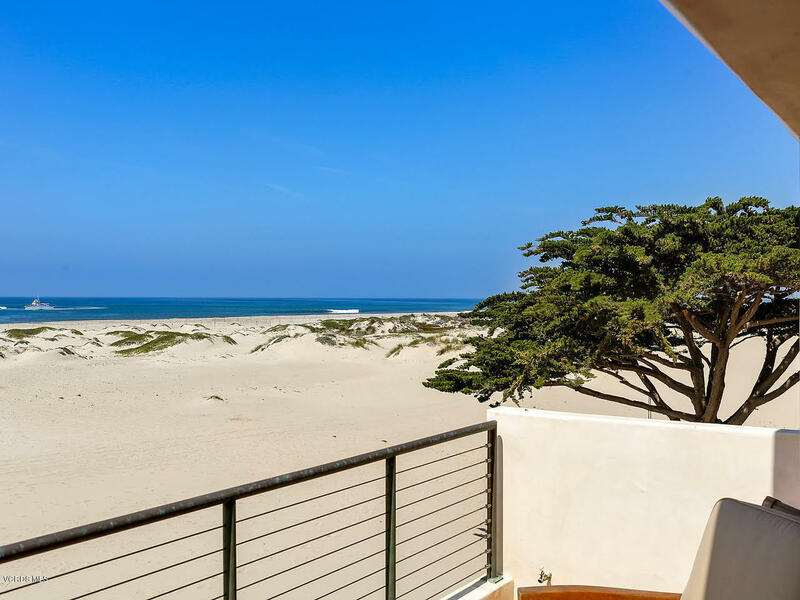 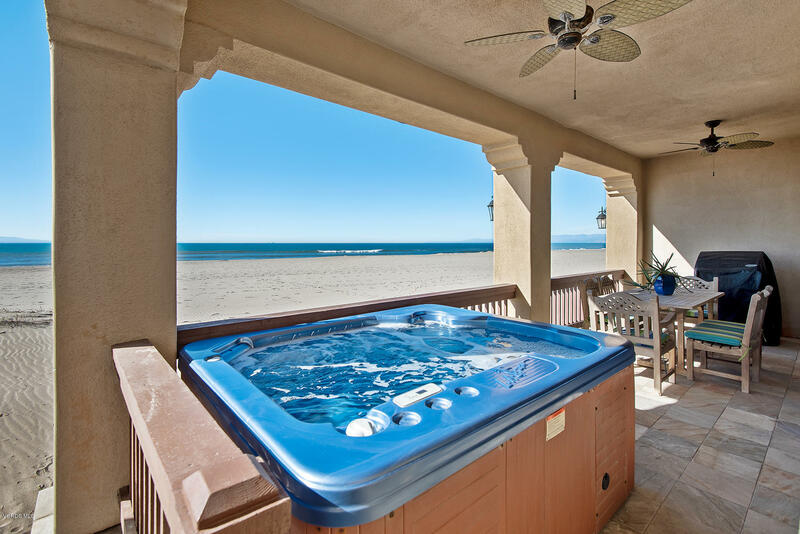 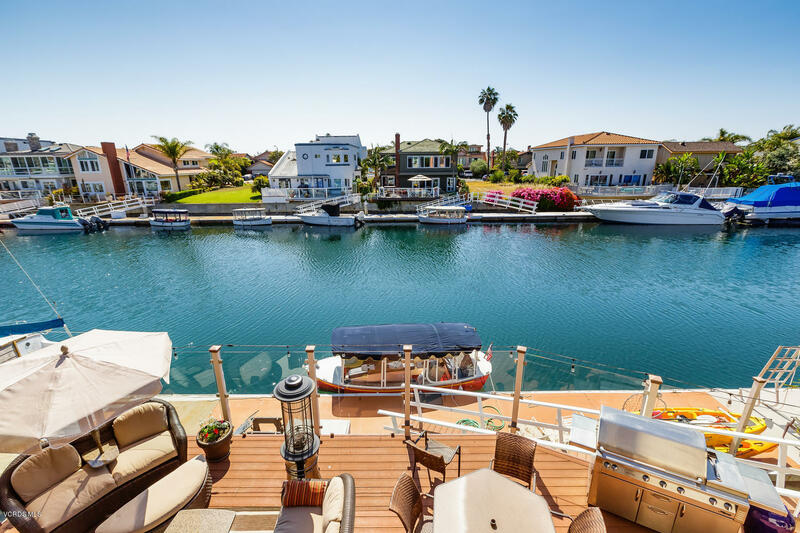 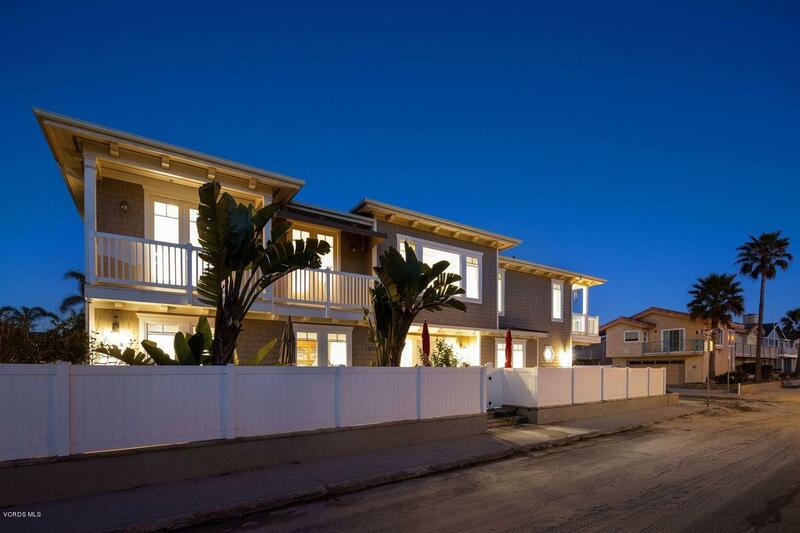 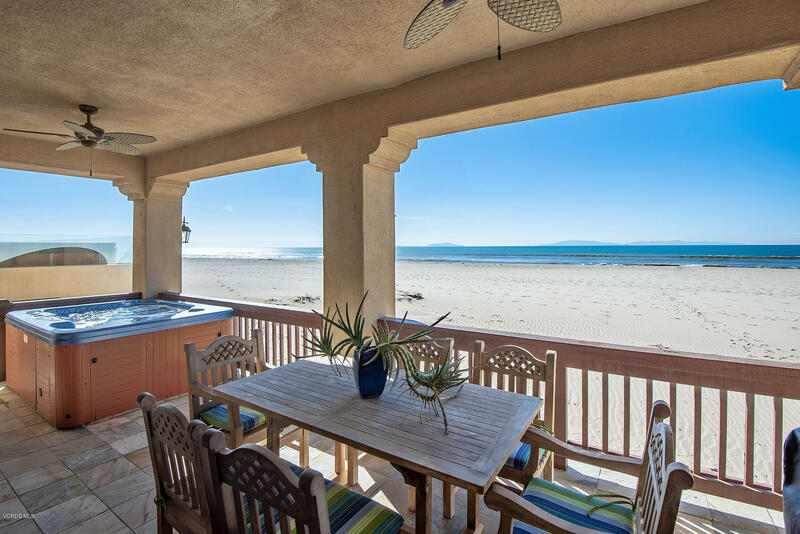 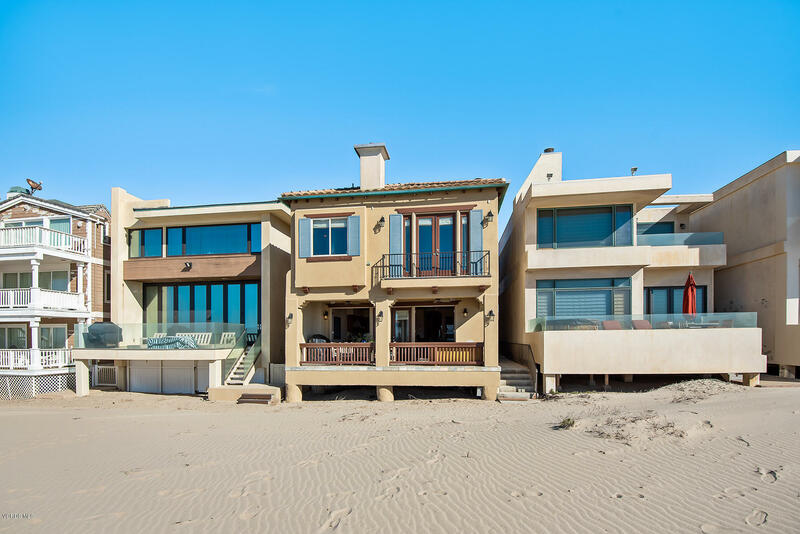 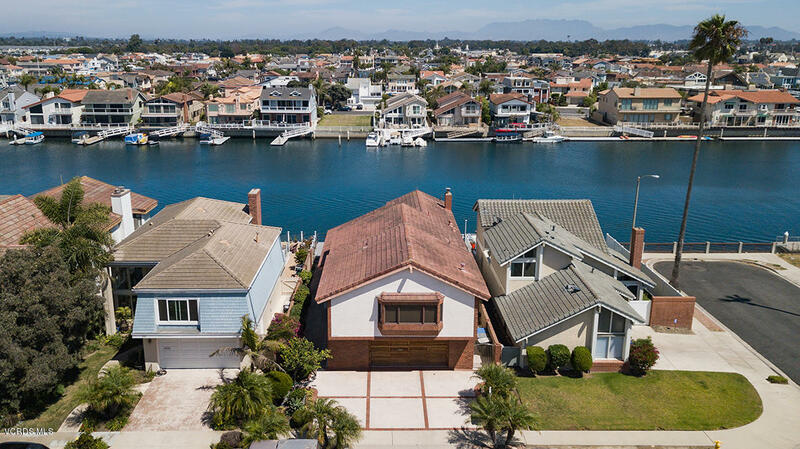 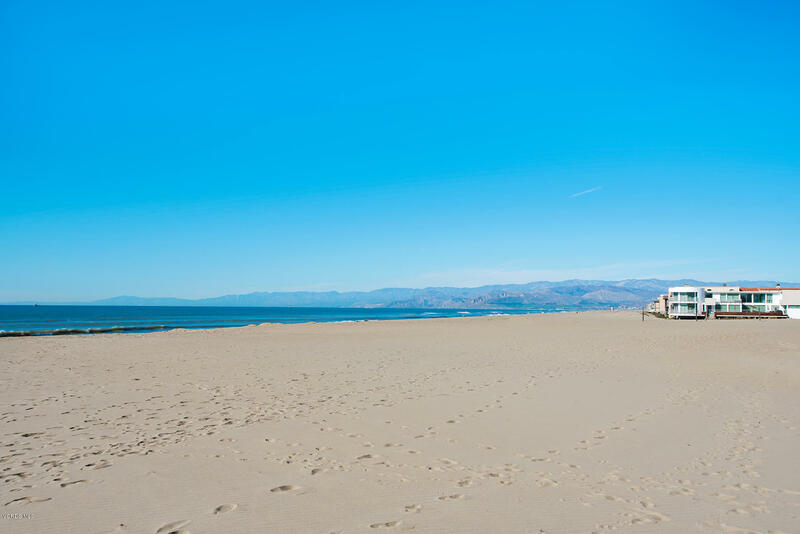 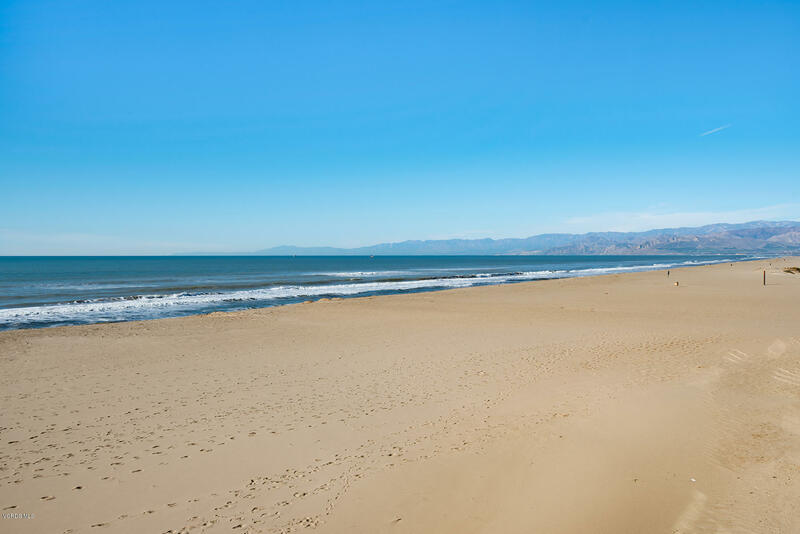 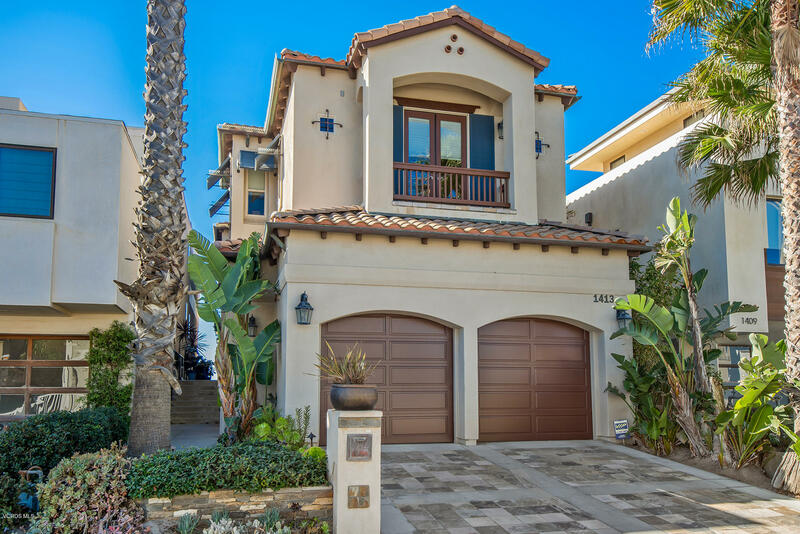 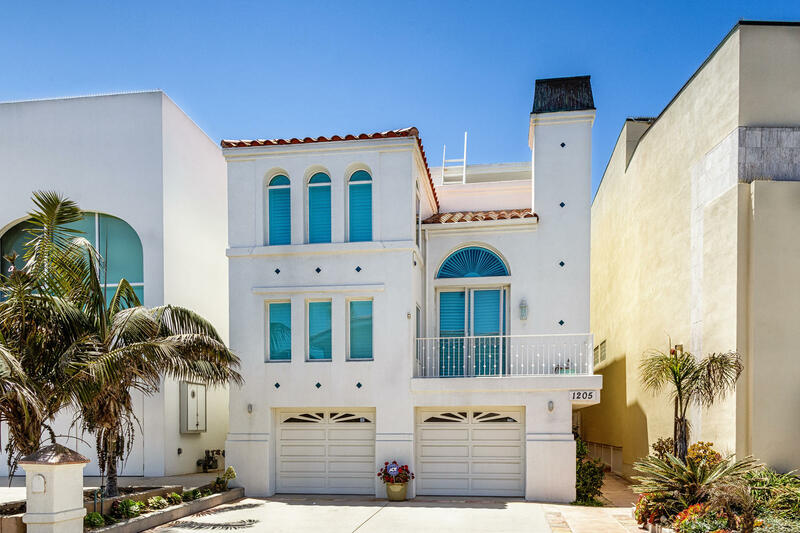 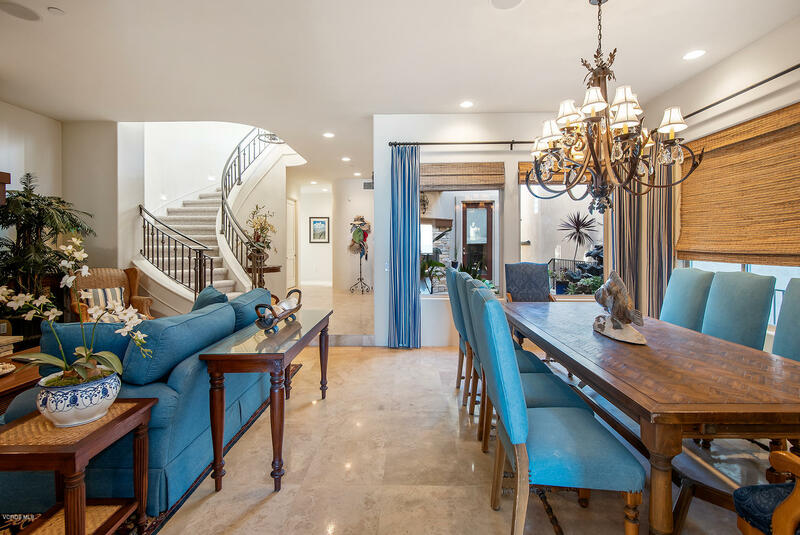 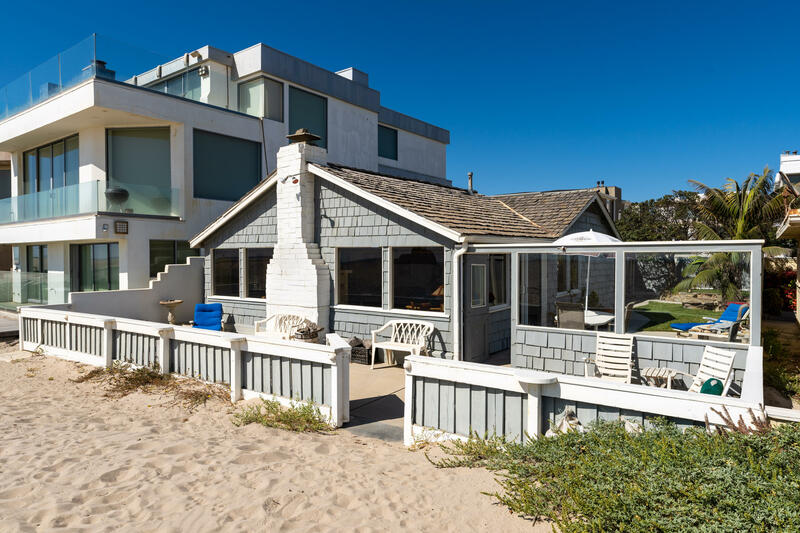 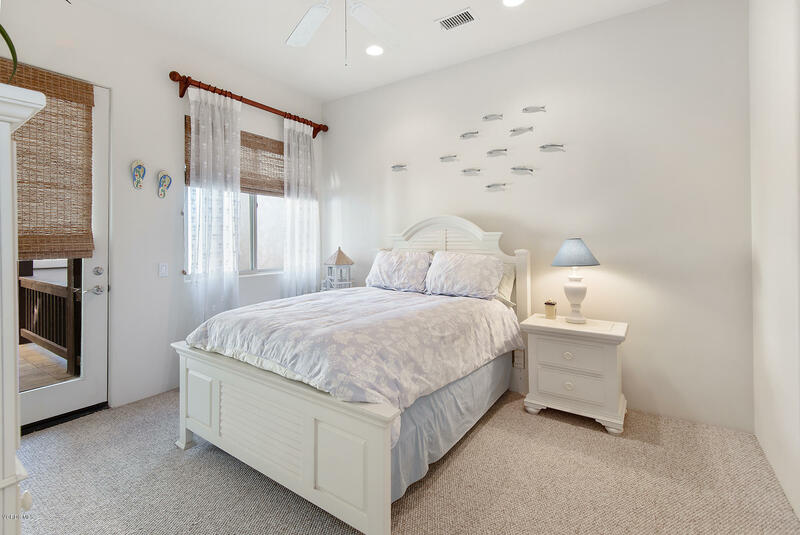 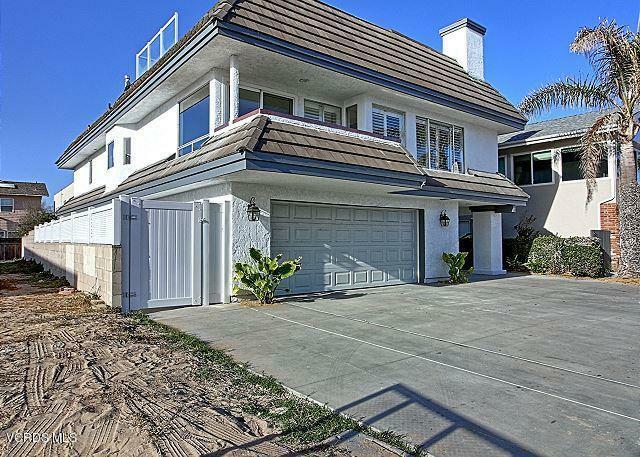 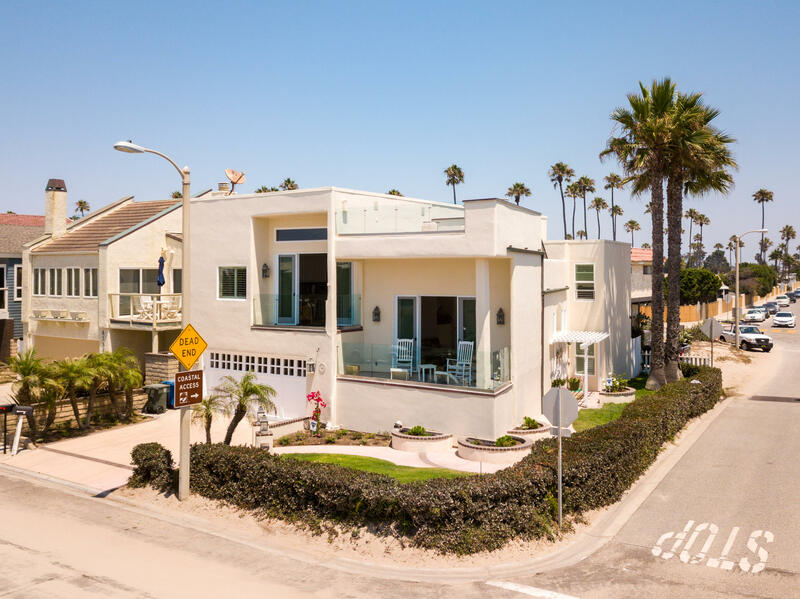 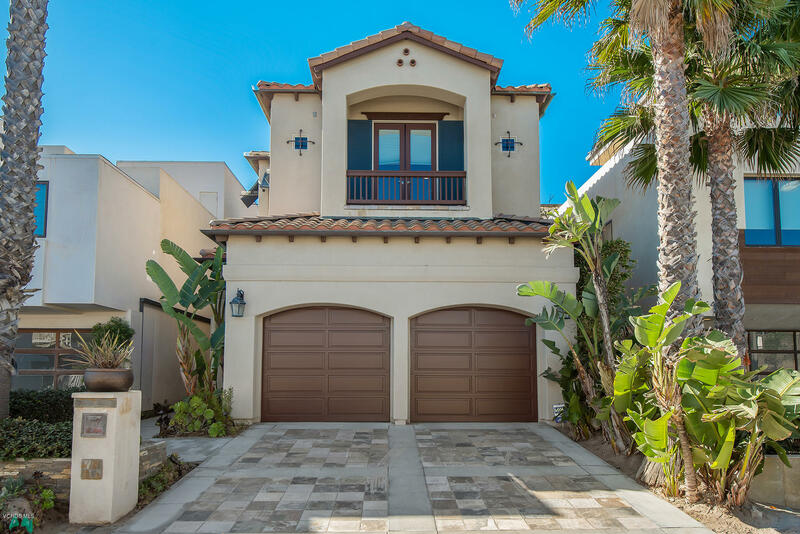 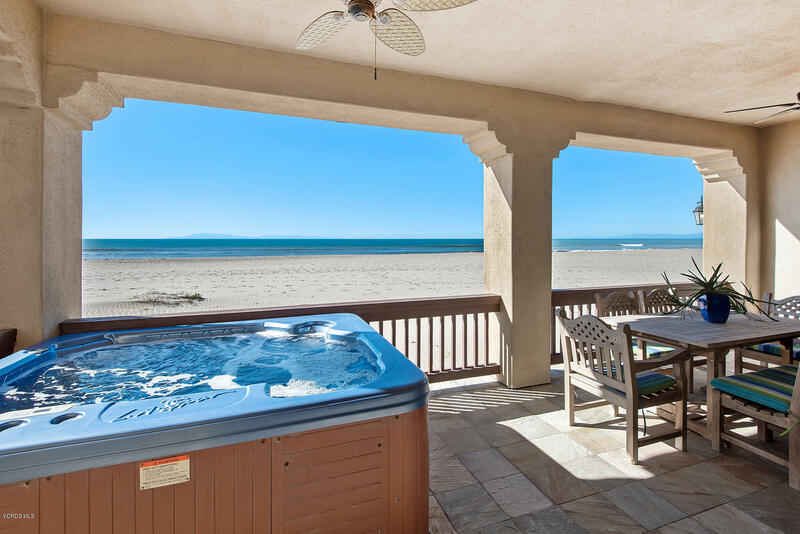 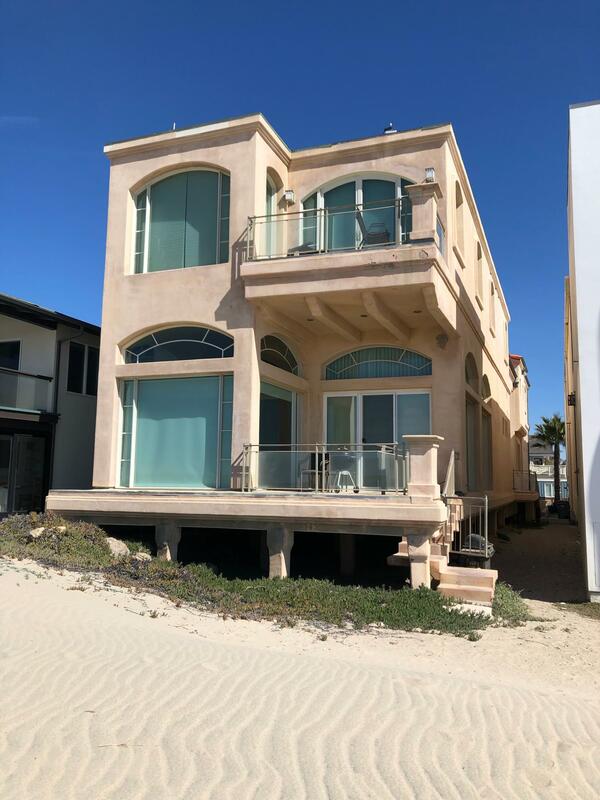 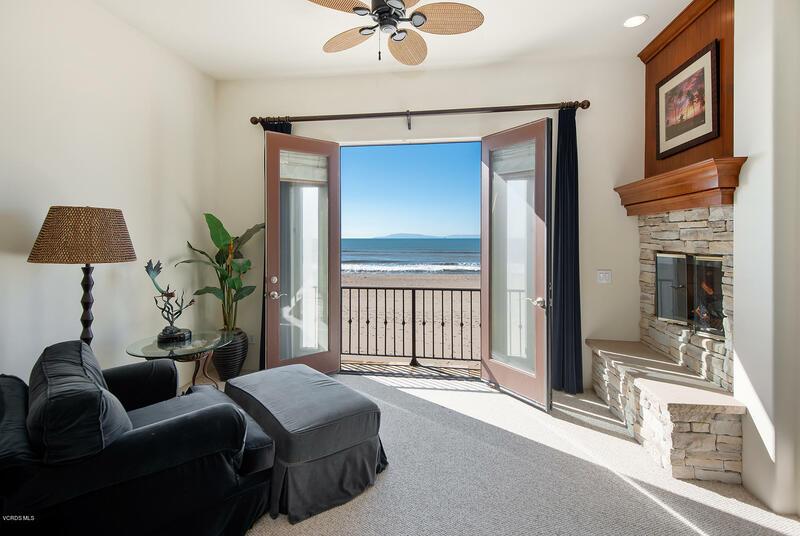 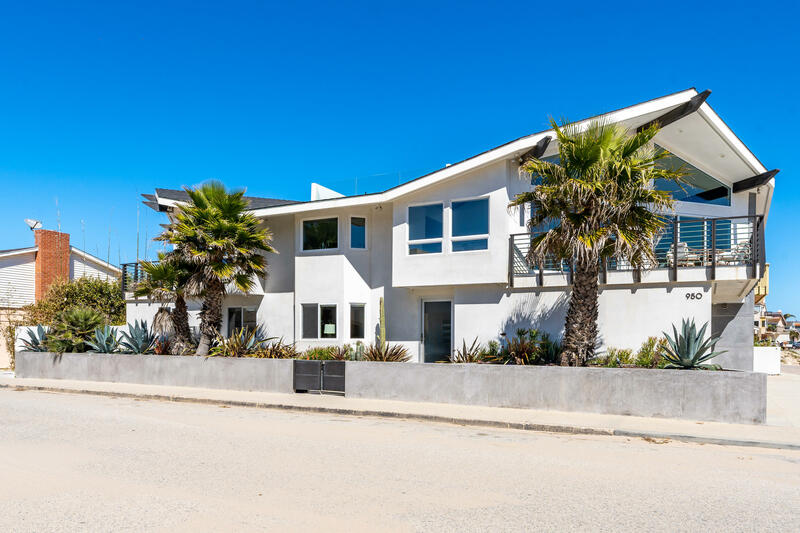 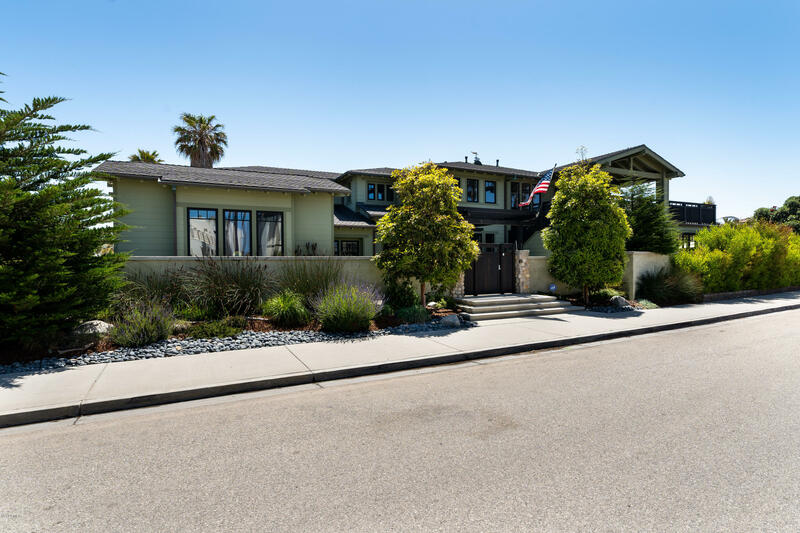 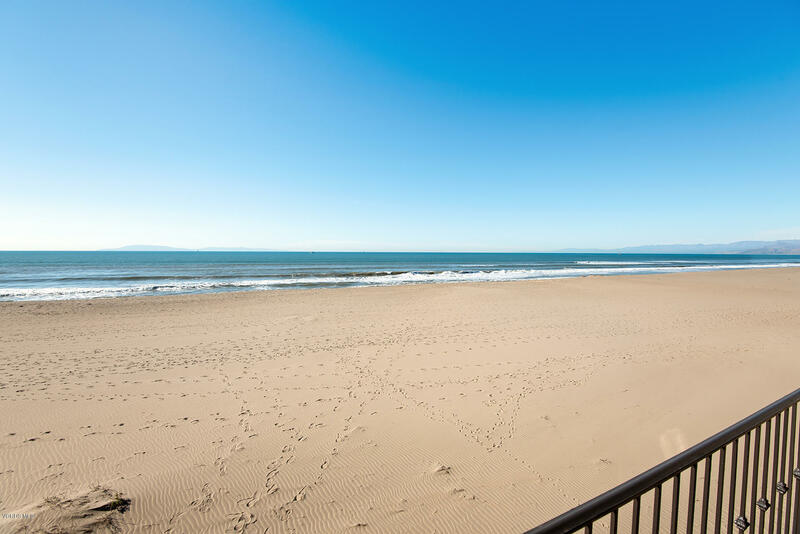 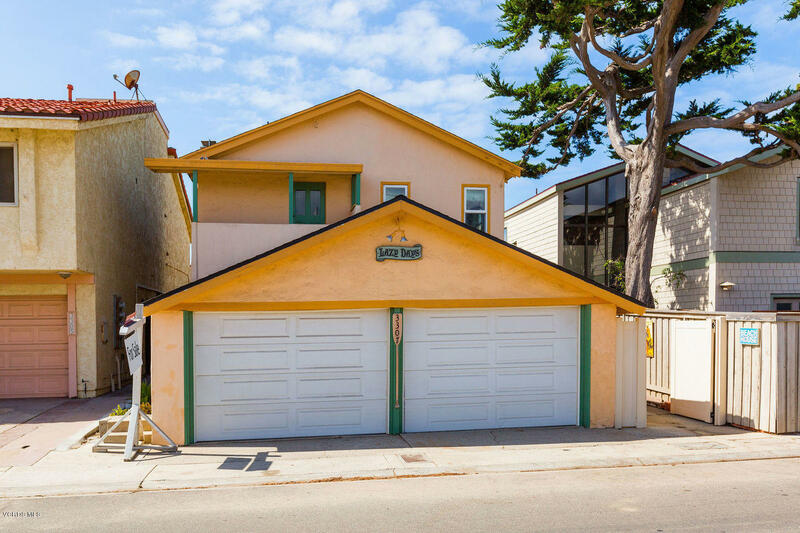 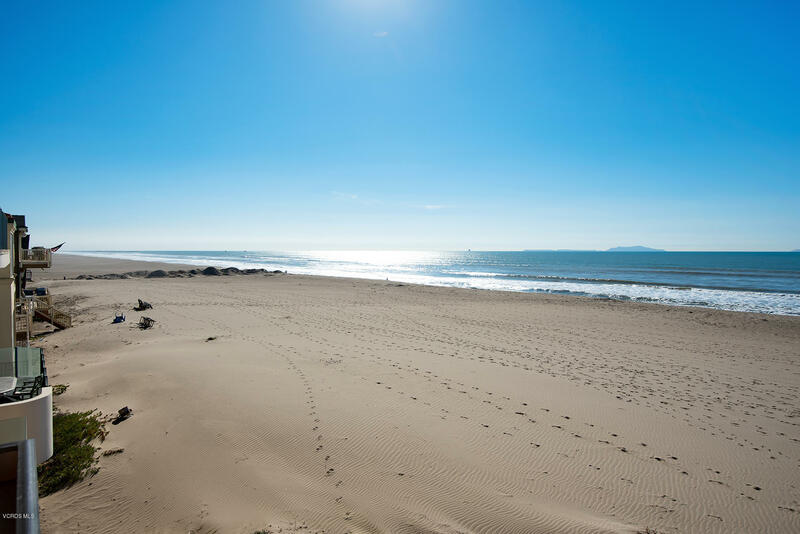 Watch the dancing dolphins from this beautiful ocean front home located in ''the wedge'' on Mandalay Beach/Oxnard Shores. 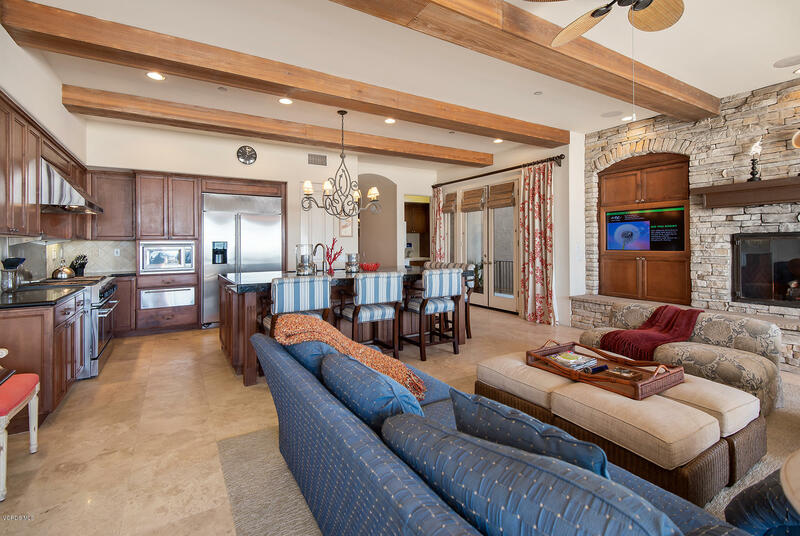 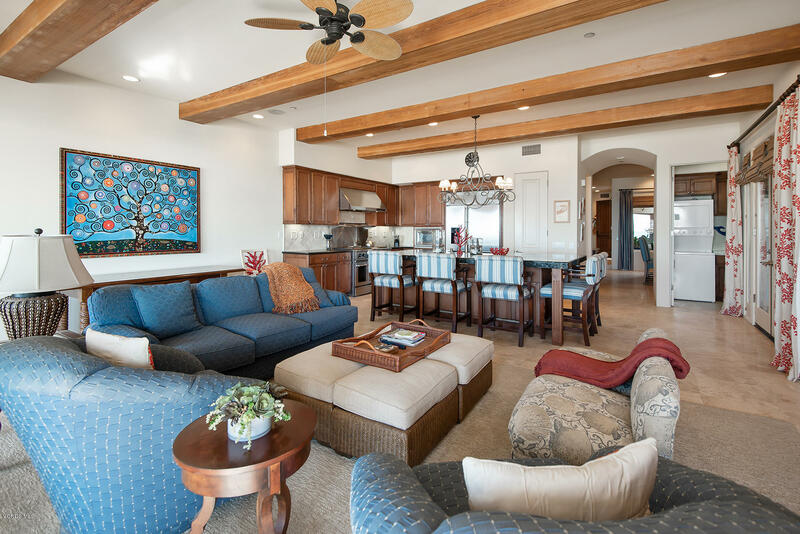 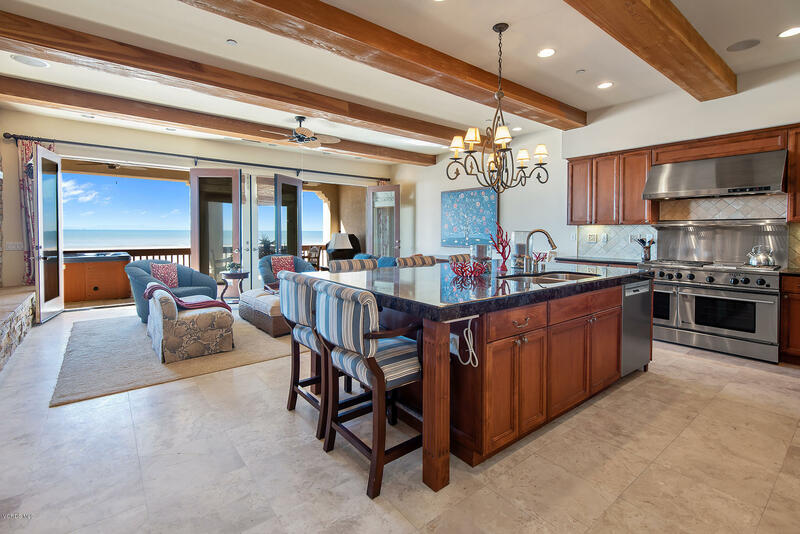 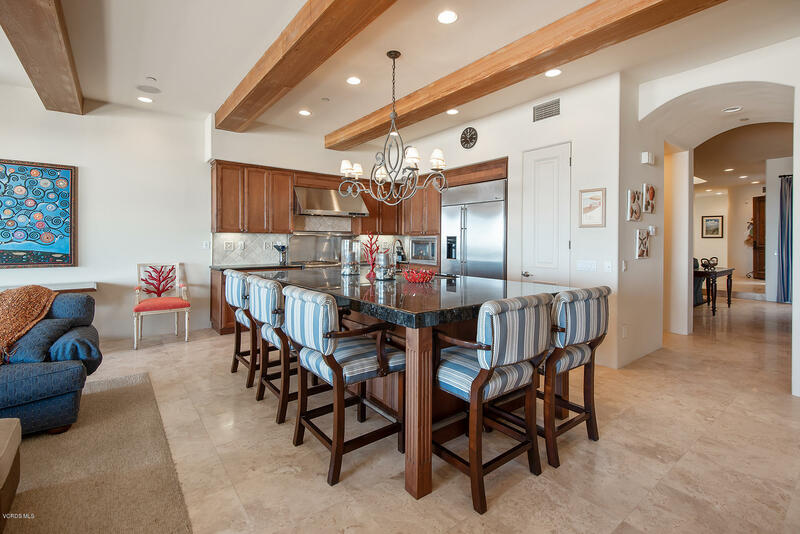 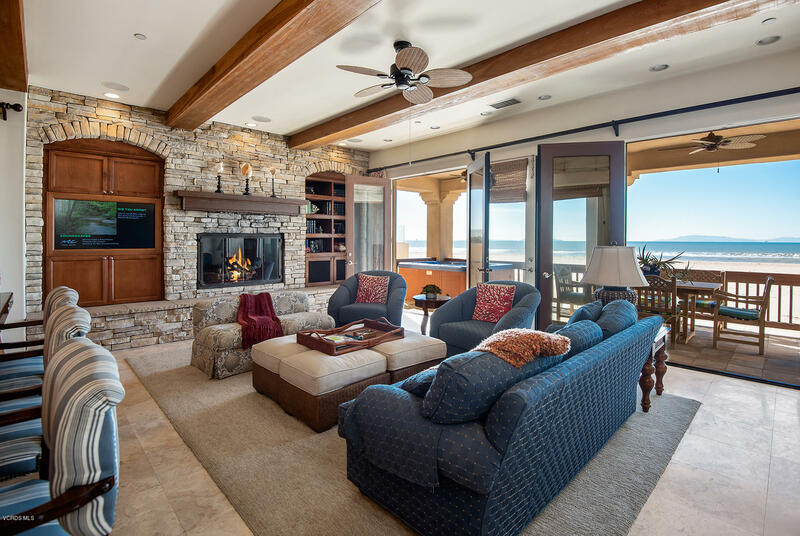 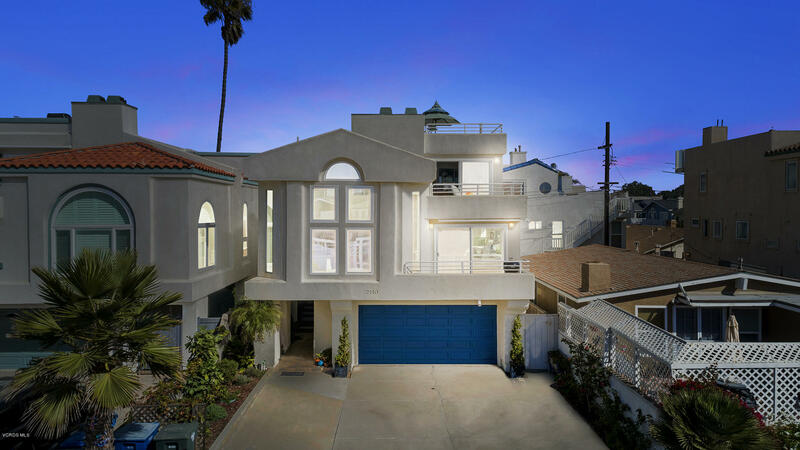 Built in 2003, the home features a beachfront family room including beamed ceilings, a stone fireplace and surround sound. 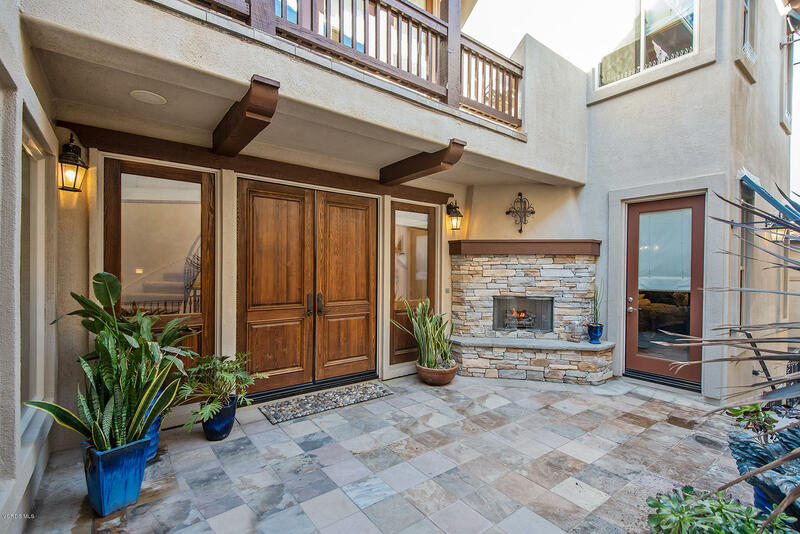 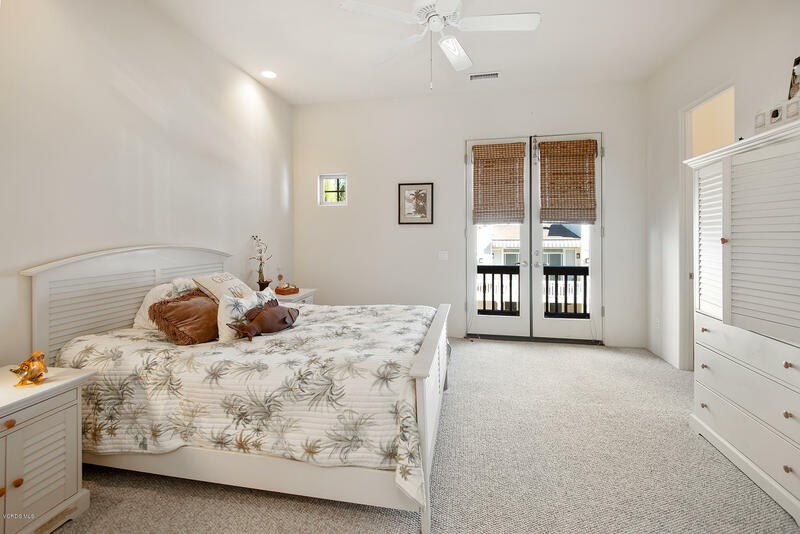 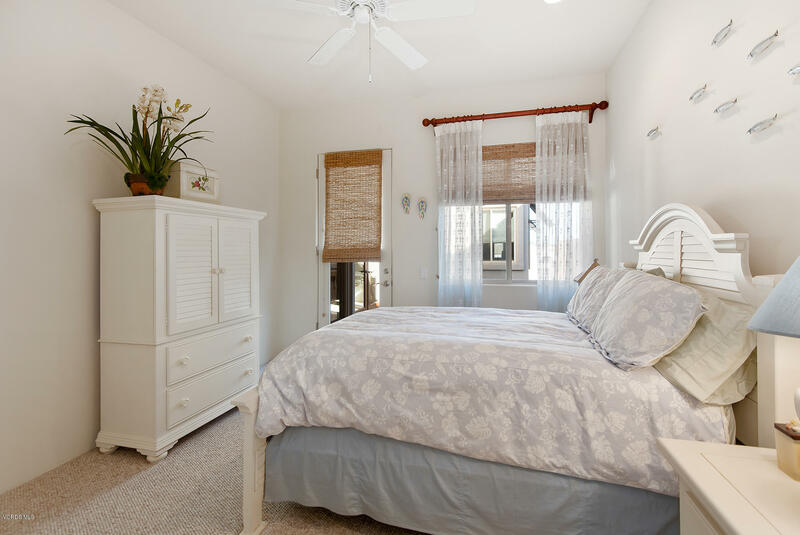 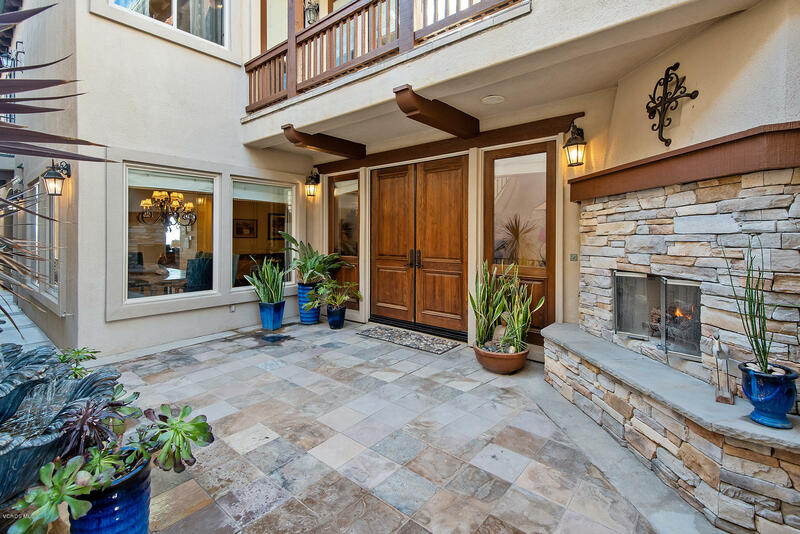 The French doors open to the deck leading to an inviting spa and is only a few steps from the sand. 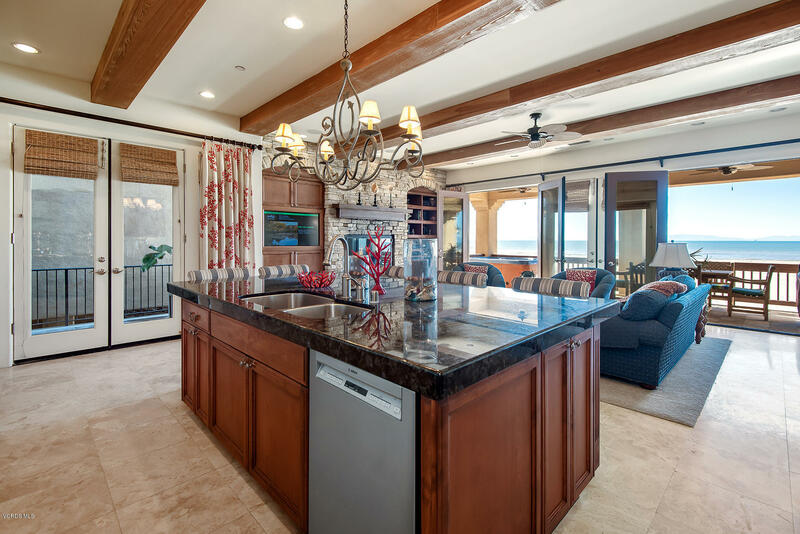 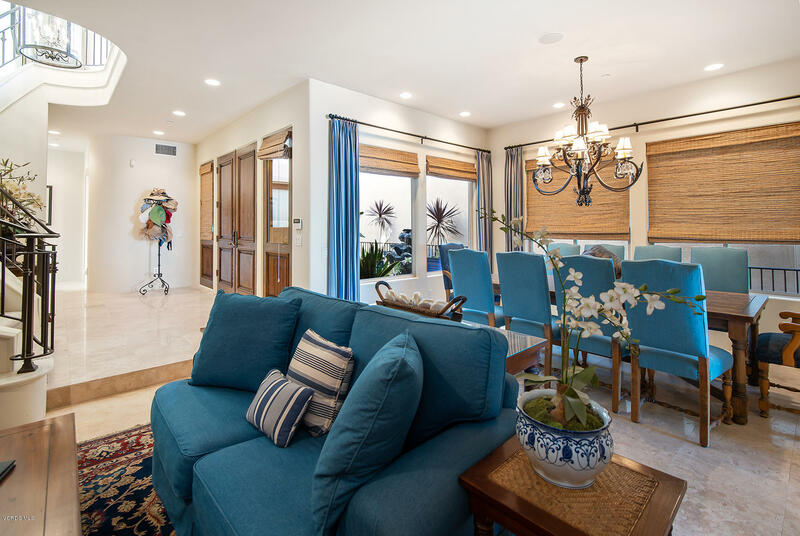 The open gourmet kitchen is adjacent to the family room with a large center island with abundant seating, and stainless appliances. 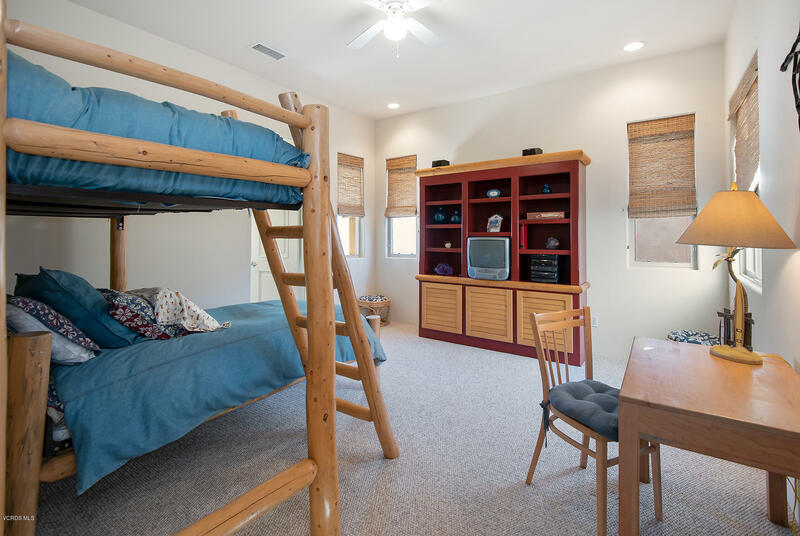 Five large en-suite bedrooms, including one bedroom downstairs. 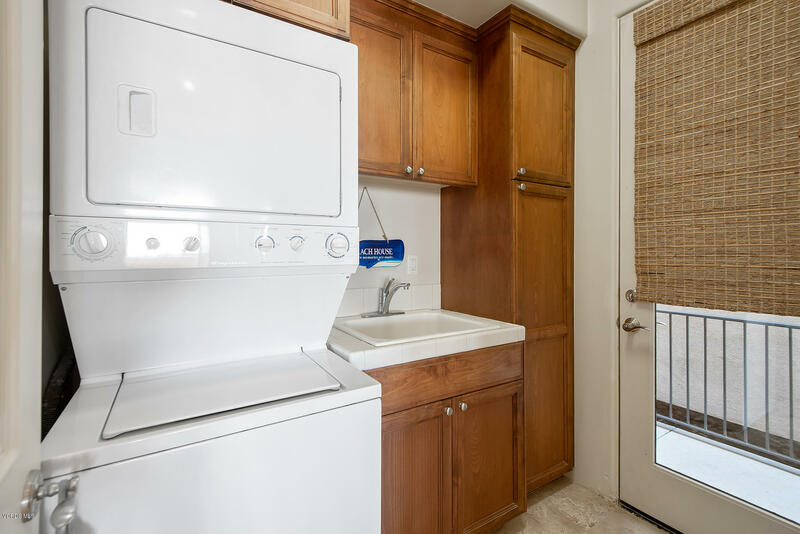 One laundry room is located downstairs and can also be accessed from the exterior for sandy towels and feet. 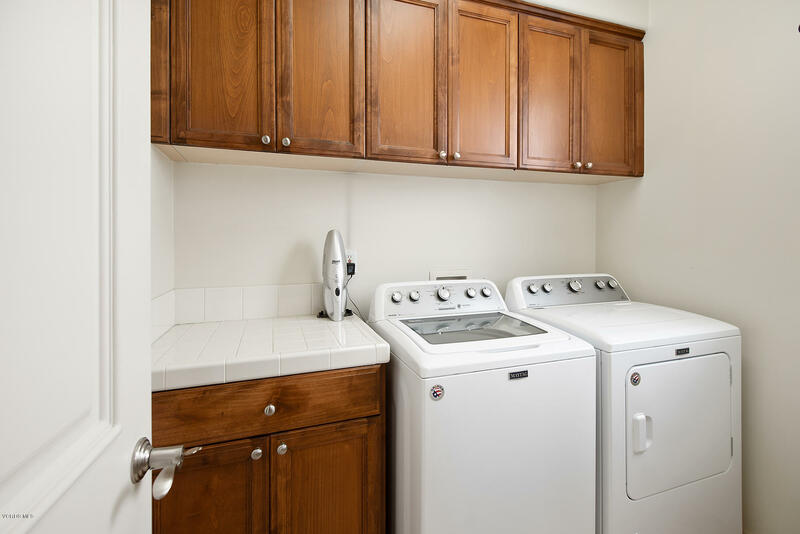 An additional laundry room is located upstairs. 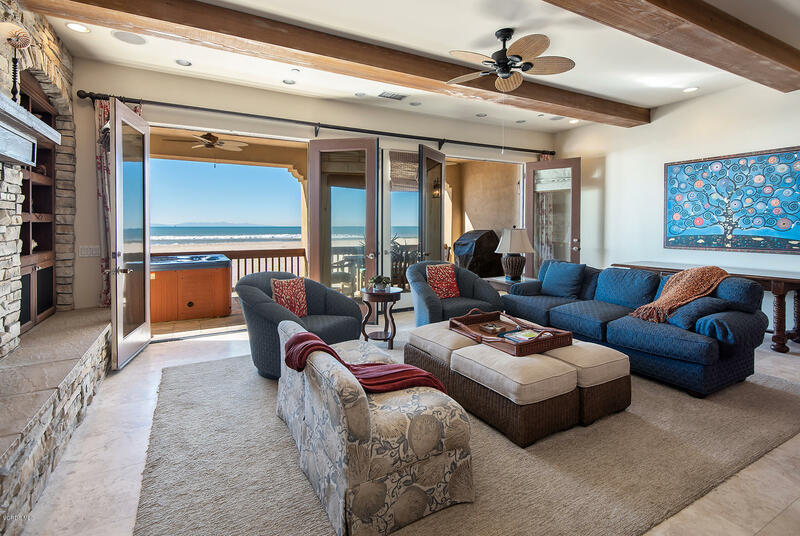 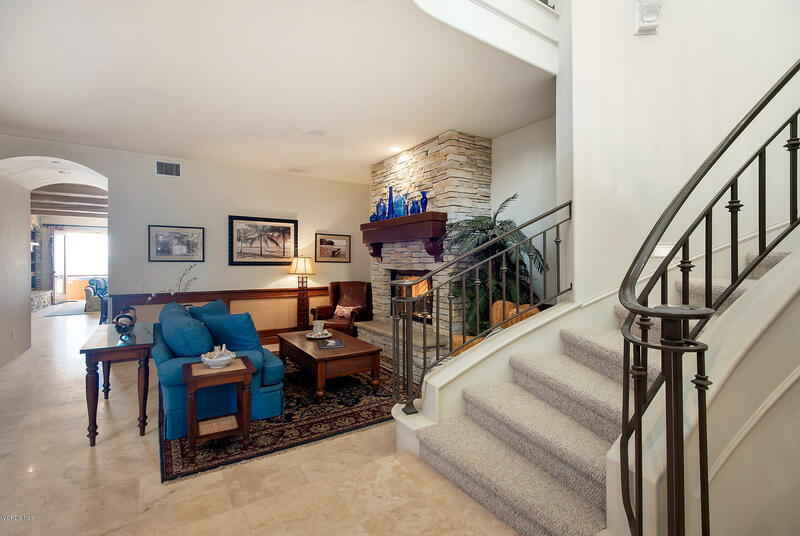 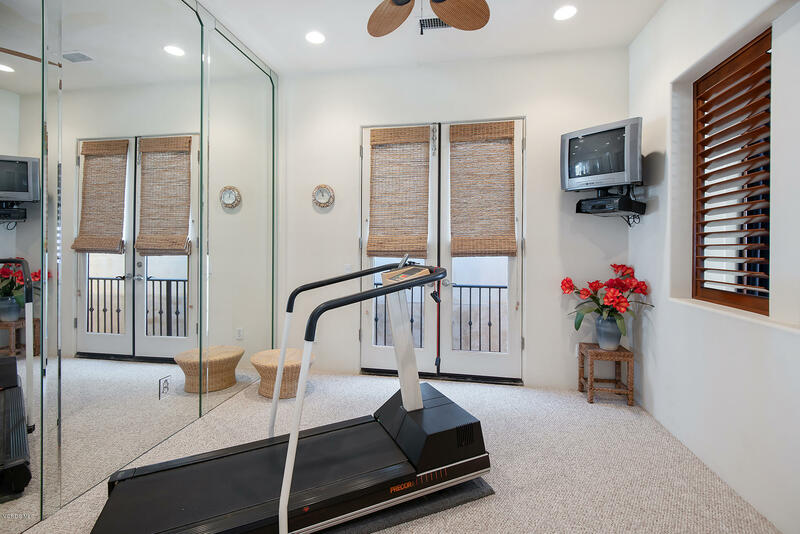 The master suite includes a gym, coffee bar, comfortable sitting area with ocean views and double-sided fireplace. 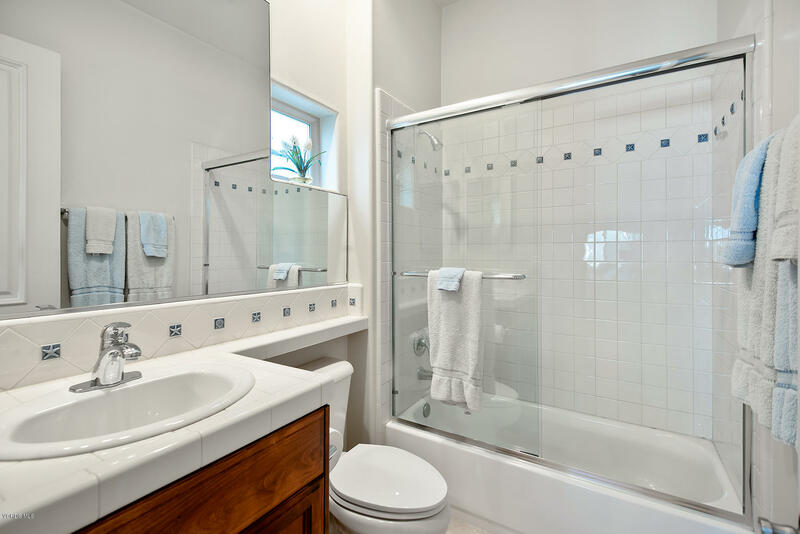 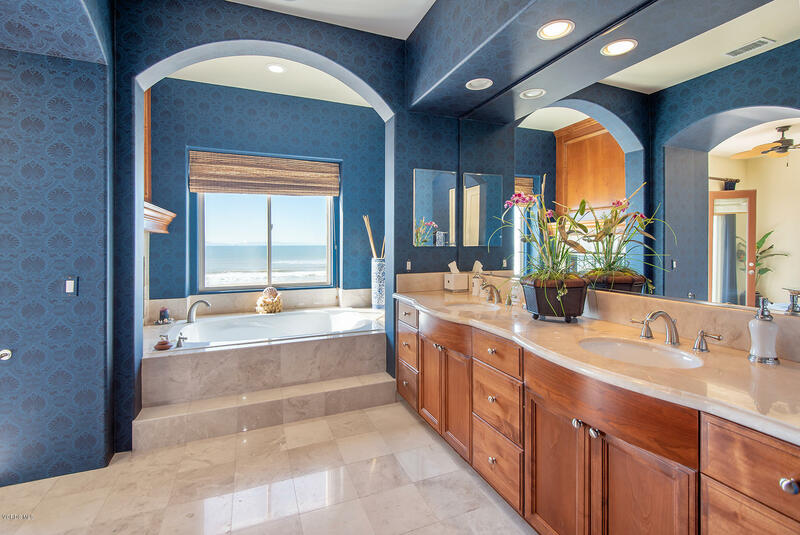 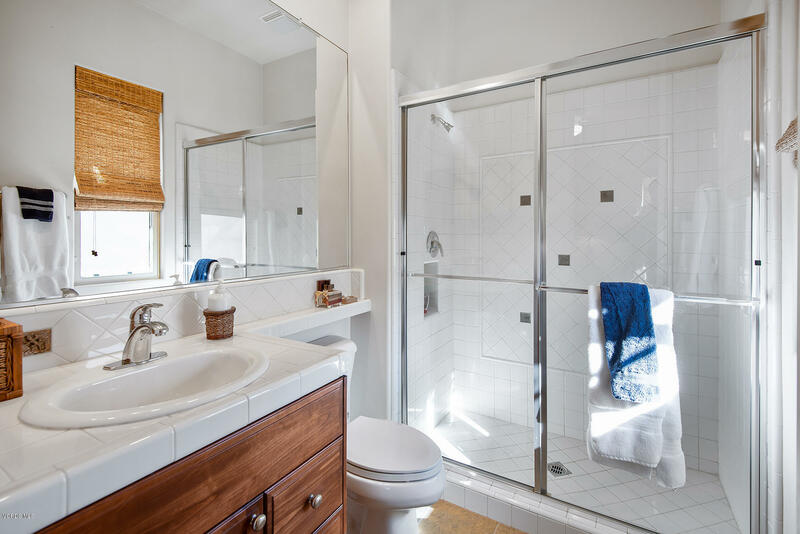 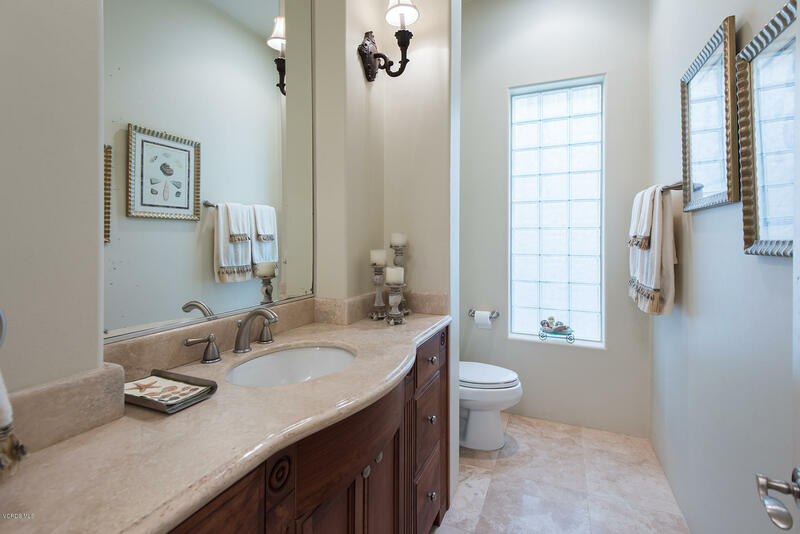 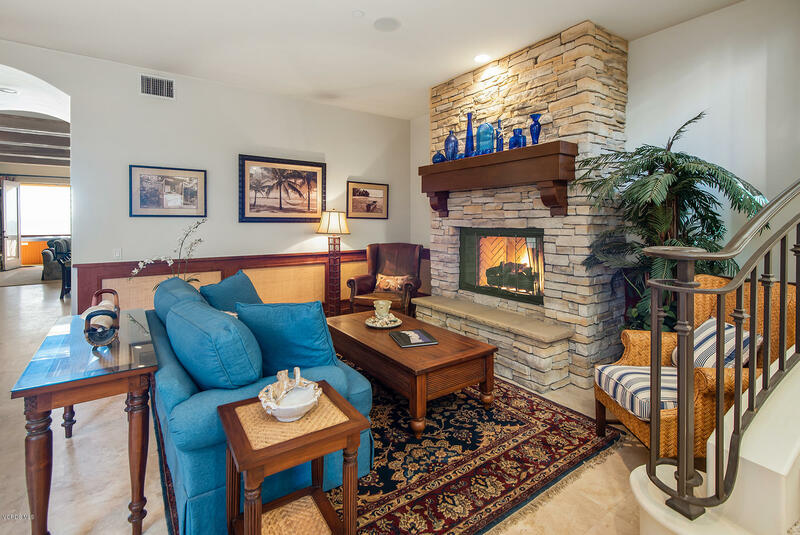 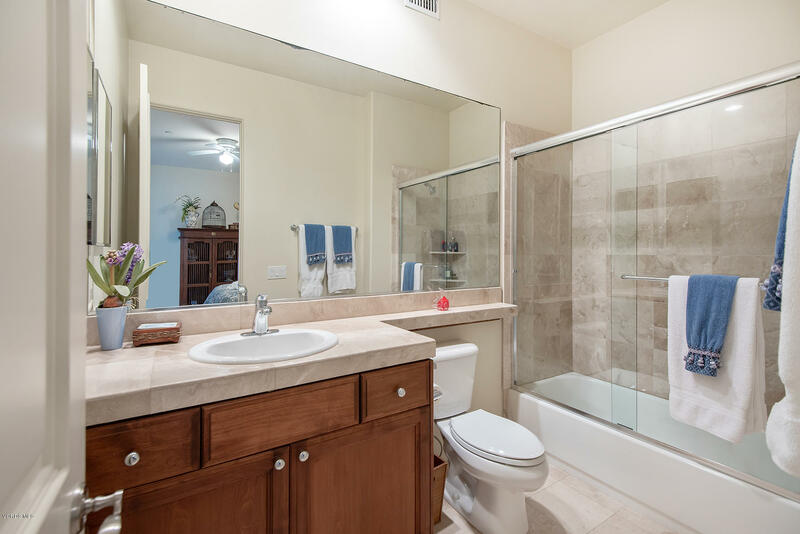 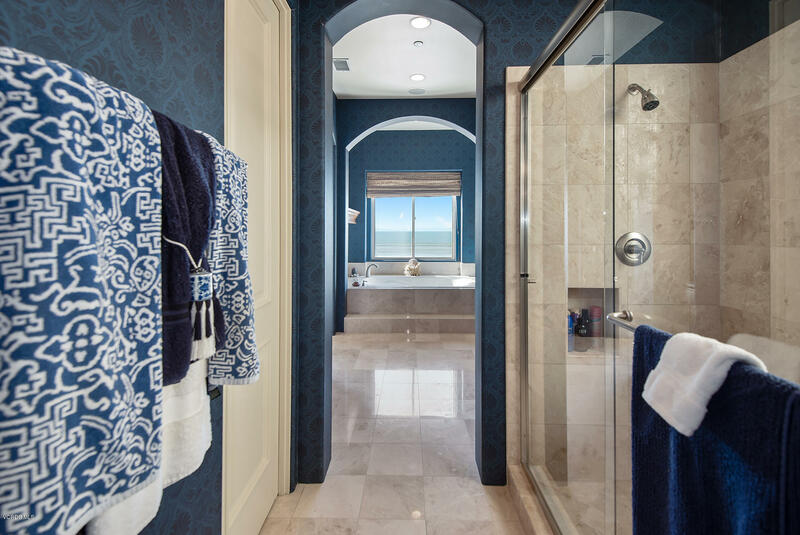 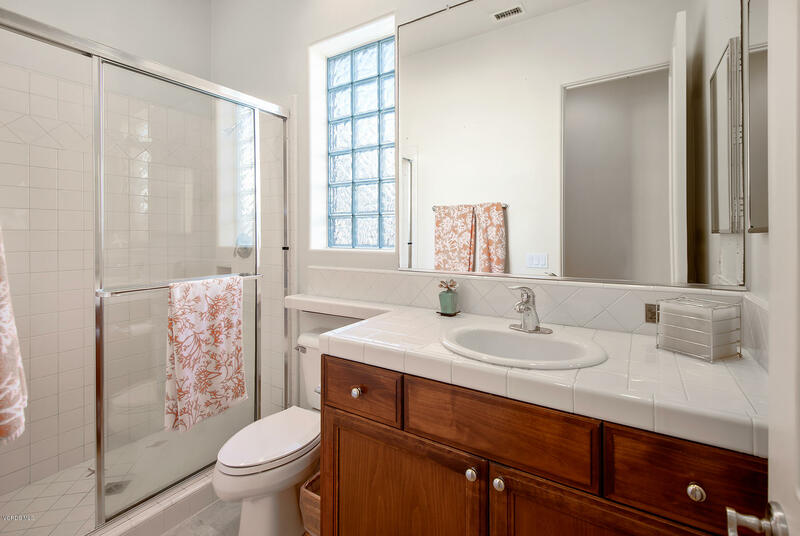 Enjoy a warm bath in the master bathroom's soaker tub while enjoying the ocean view and fireplace! 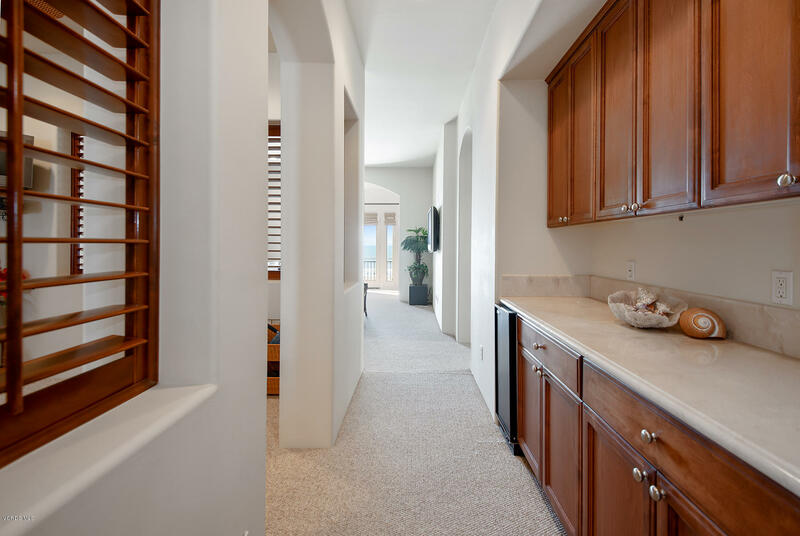 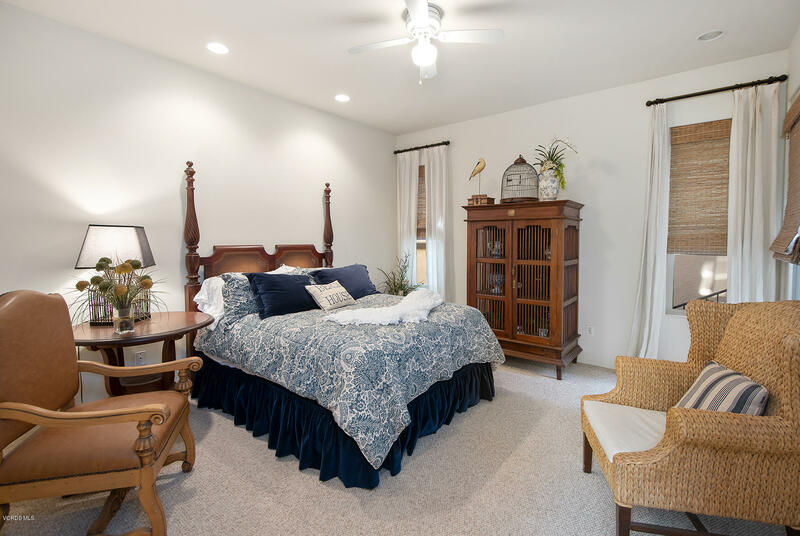 In addition, there is a large walk-in closet and dressing area. 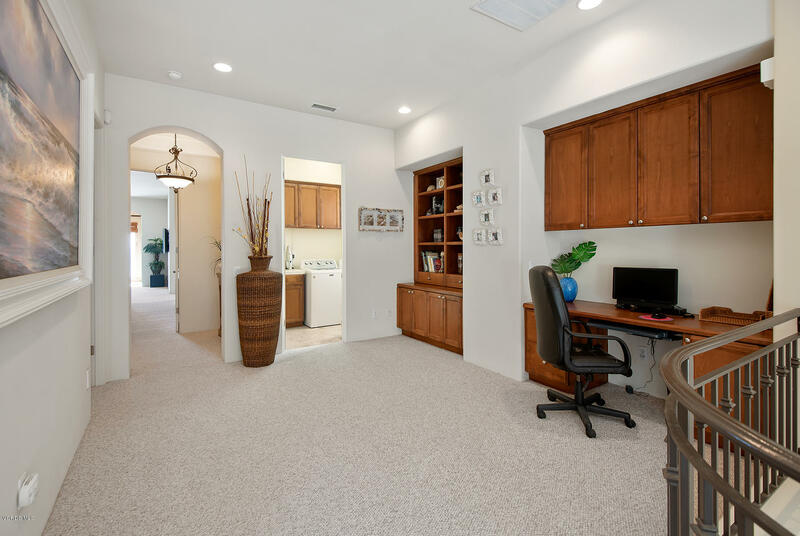 The upstairs work space offers built-in shelves and desk. 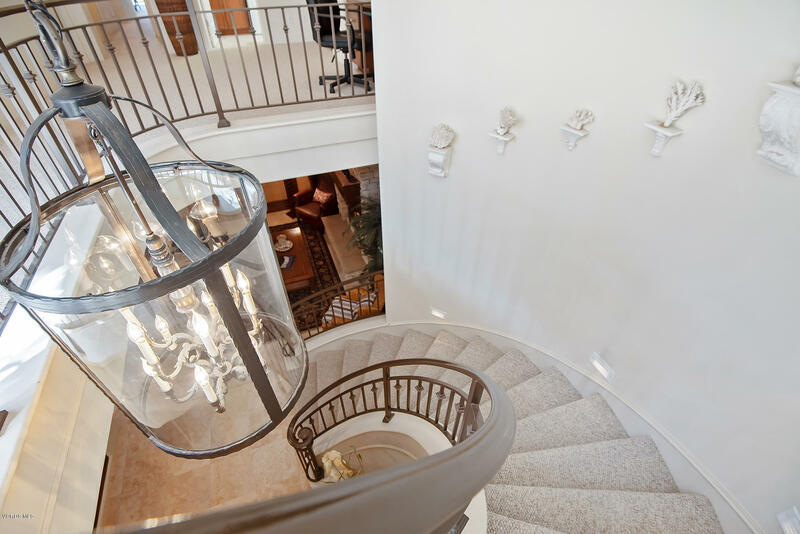 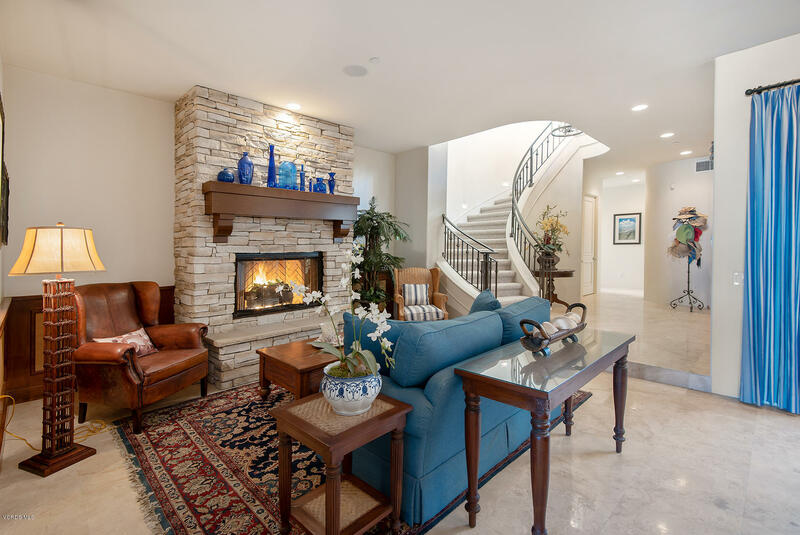 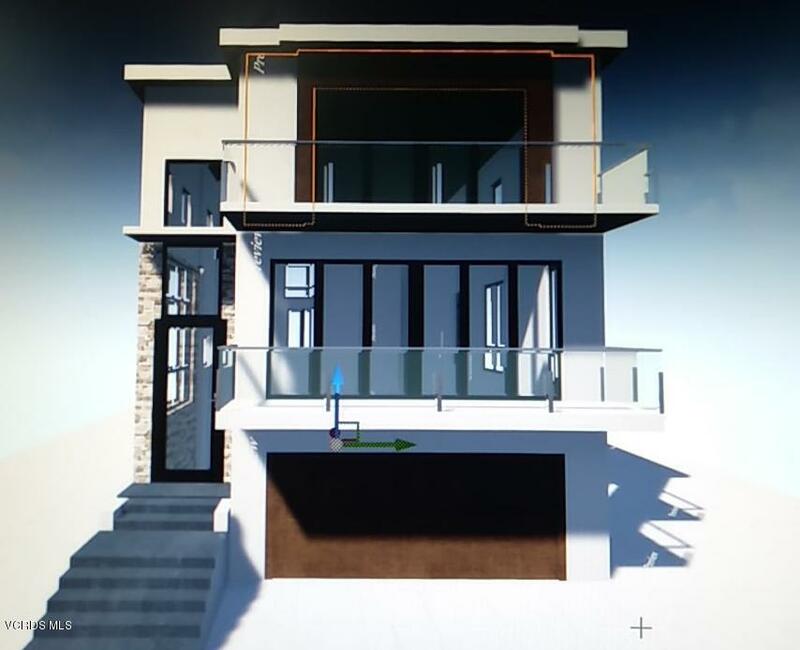 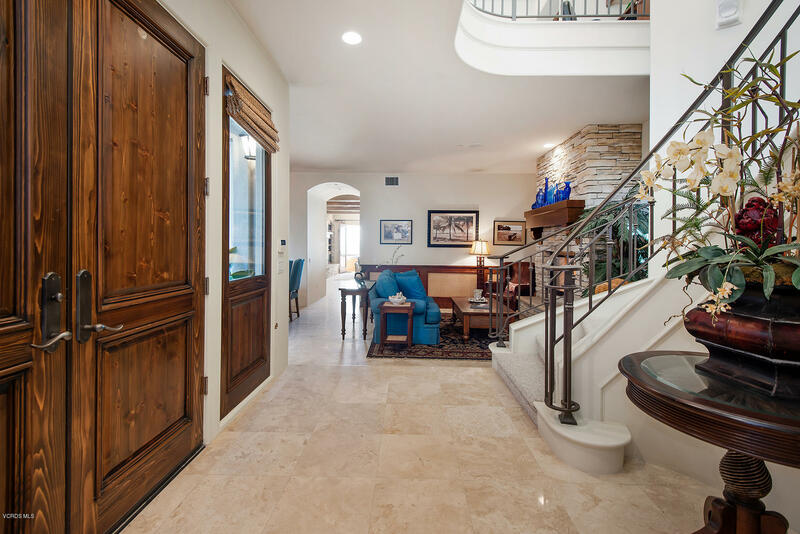 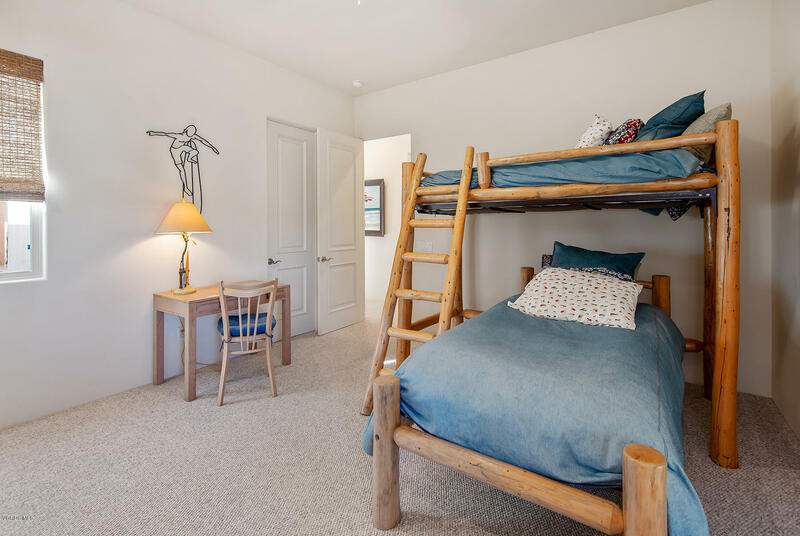 This stunning property has 4 fireplaces (one exterior), an outdoor shower, central air and heat as well as space to potentially install an elevator.